1) Is the room large enough? How many bridesmaids do you plan to have? You need to make sure the bridal room can accommodate all of the girls, their dresses, your dress, the photographer(s), the mother(s), grandmother(s), hair dresser(s) and makeup artist(s) - not to mention luggage, shoes, food, etc. Many of the bridal rooms I work in get cramped very quickly and you need to remember that you will most likely be in the bridal room for more than a couple of hours. 2) Is there a good source of natural lighting? 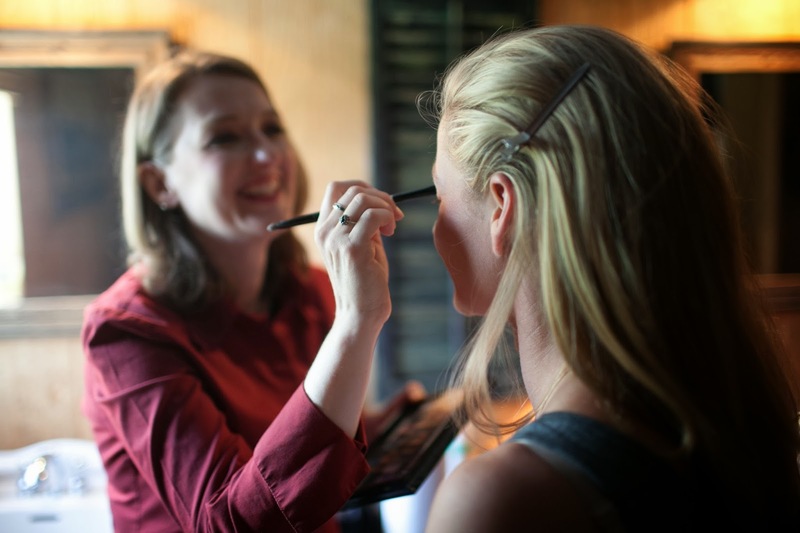 Natural light is a makeup artist's best friend - especially if the bride and bridal party will be taking photos outside. Unfortunately, lighting seems to be an after thought in most wedding venues. 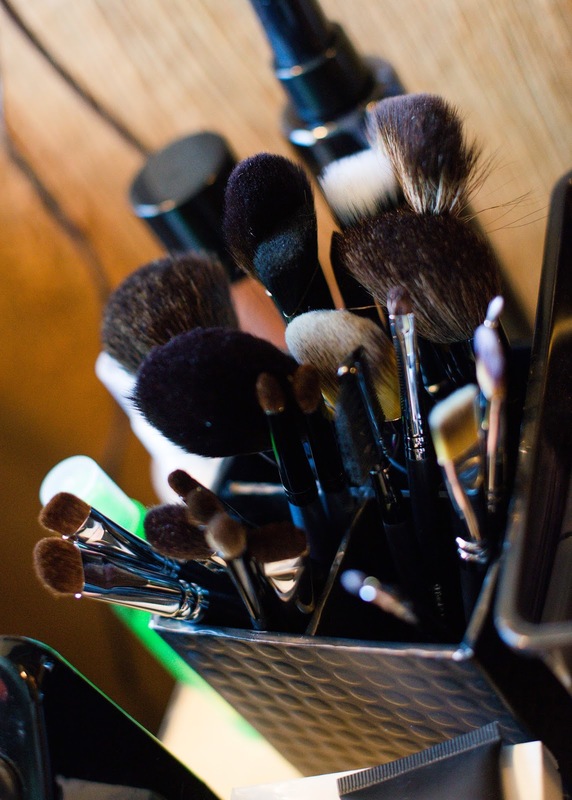 In many venues, the only natural light source faces the entrance of the building and having curtains open while applying makeup to the bride is not an option. 3) Does the room have adequate counter/table top space? Hair products, makeup, food, etc. take up a lot of space. It is also nice to find out if furniture in the room can be re-arranged to help improve the traffic flow. 4) How long do you have in the bridal room the day of the wedding? Many wedding venues only allow the bride access to the bridal room for just a few hours, so be sure to ask how long you have access to your venue before signing the contract. Makeup artists also appreciate having a bar stool for clients to sit in, while hair stylists utilize a standard chair to do hair. Having both types of chairs in the bridal suite is an additional bonus for the venue! I recently wrote a review about a local Houston hotel's bridal suite. You can read that blog by clicking here.